Giant Death Robots! Wait, aren't these meant to be in Civ? One of the most hyped and anticipated games of this year, No Man's Sky, has finally been released to PC on Steam and GOG. Even Choicest Games was looking forward to this game back in 2014, No Man's Sky making the #2 spot on the 10 Most Anticipated PC Games of 2015 list. The game did drop off the top 10 list for 2016 though but was still one we wanted to keep our eyes on. Now it's finally out but it's been receiving a mix of positive and negative reviews across the board. Let's first take a look at what happened in terms of reviews when the game was released a few days earlier on the game's target platform, the PS4. On Metacritic the game has a Metascore of 68 which means "Mixed or average reviews based on 25 Critics". Destructoid gave the game a 7/10, saying that "It's a fun sandbox game that's full of wonder, until it isn't." To me, they seem to be pointing at a common criticism of Elite: Dangerous when it was released, in that procedural generation is great in giving you a large quantity of things to explore but ultimately, this could become boring after a very short time. The Jimquisition gave the game 5/10 saying that "even with my expectations guarded, however, I did not expect just another survival/crafting game that used randomization as a crutch to the point of losing all potential personality..." Traditional publications like TIME and the Guardian however, were more positive about the game, giving it a 9/10 and 8/10 respectively. So how about the Metacritic users? Well, it gets worse. The game has a User Score of 4.9 which means "Generally unfavourable reviews based on 3,124 ratings". Many of the "most helpful reviews" give the game a score between 5 - 7 out of 10. Common comments state that the game can be repetitive and boring, but that a good framework is there to be built upon (sounds a bit like Elite: Dangerous eh?). The more positive comments talk about how beautiful the universe is and how seamless it is switching between planets and space, and that if you like survival/crafting games like Minecraft, you might find a lot to enjoy. So I decided to have a look at the actual platform I care about which is the PC and it's too early for an aggregated score on Metacritic but the users have already been making their voice heard. 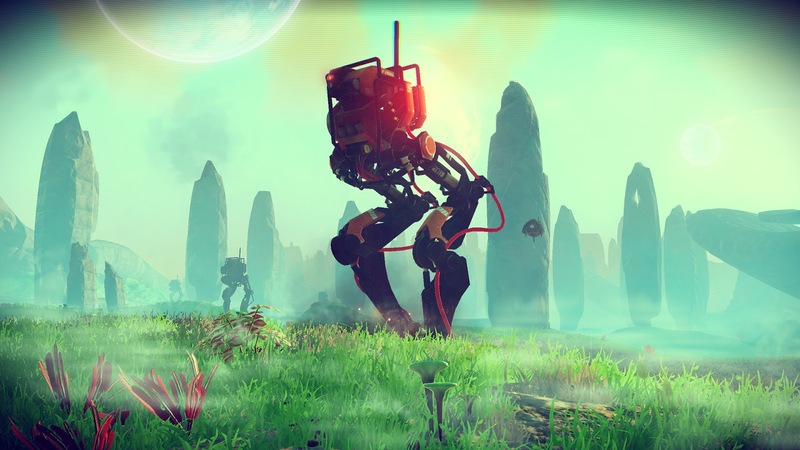 Unfortunately for Hello Games, those playing the PC version of No Man's Sky seem more displeased than the PS4 cohort. The game has a User Score of only 2.7 on PC which means "generally unfavourable reviews based on 336 ratings". The "most helpful" reviews here have a much lower score than on PS4 and they seem to range around 0 - 4. People are saying that "ironically, it makes me appreciate Elite: Dangerous much more than ever before", that the game is "unoptimised", constantly "crashing", constantly having "framerate drops" and constantly "freezing". Okay, so how about Steam? This is the main store people are going to get the game if they're a PC player right? Well, the game has currently got a "Mixed" reception on Steam with "56% of the 21,283 user reviews for [the] game [being] positive". Most positive reviews of the game are being drowned out by the negative ones because they're not being rated as helpful. The positive reviews tend to instruct others how to fix their game in order to appreciate No Man's Sky or say that it's a great game for exploration but not much else (for the time being). One even mentioned it's like a casual version of Elite: Dangerous. The negative reviews tend to comment on how the game is unplayable in the current state - in fact, there's very little negative reviews about the actual gameplay (probably because people are struggling to get the thing working). One that does go into the gameplay mentions how there is very little variation with respect to the procedural generation of planetary bodies (e.g. no gas giants, no ring systems and no variation of star types). Apparently some people are also bitter about the ambiguity with respect to multiplayer. The chaps at GOG.com tend to be a more forgiving bunch I've found - I mean they like playing good old games right? That means, if a game actually has some good gameplay, it doesn't matter if it looks 20 or 30 years old. However, it seems like they too have given the game a mixed reception. Currently the average rating is sitting at 2.5 stars out of 5. The most helpful reviews complain about performance issues as well as the game not having anything revolutionary in terms of the combat. Grind is mentioned as another complaint. One of the few positive reviews mentions that the game is a bit like the Mako section of Mass Effect except on a grander scale, which isn't necessarily a bad thing (if you happened to enjoy the Mako segments.... argh!!!!). How about you? Have you been playing No Man's Sky recently? How are you finding it?